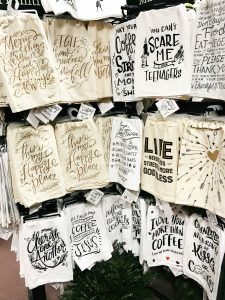 In our series of Downtown Gift Guides our staff visited shops in each block of Downtown and picked their favorite gift ideas. Here are Allison’s picks from the 600 Block of Main plus Enstrom’s Candies. 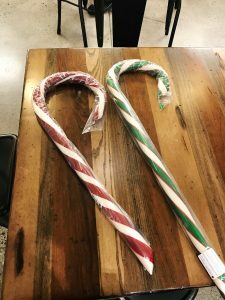 Two Foot Tall Candy Canes from Enstrom Candies are sure to delight kids big and small. 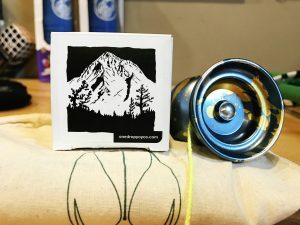 This One Drop yo-yo is the perfect gift for the yo-yo enthusiast in your life. The Lonely Toy Store has all kinds of cool yo-yos. 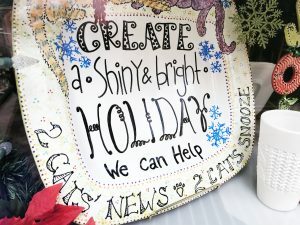 A paint-your-own-pottery class at Fat Cat Pottery makes the BEST gift! This antique flower “frog” from Heirlooms for Hospice is a really cool gift for your garden-minded friends. It helps with holding flowers in place in the bottom of a vase. 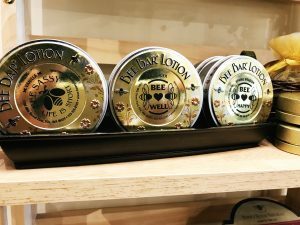 I just love this Bee Bar from Colorado Canyons Gallery, Framing and Gifts. It’s the best for dry skin and smells really good too! I love The Shade Tree for stocking stuffers! 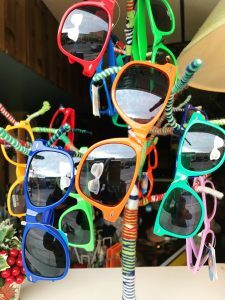 Adult and kids sunglasses under $10 can’t be beat! 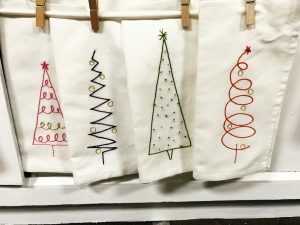 Give the stitcher in your life a kit to make these Christmas themed napkins from Starla Joy Embroidery inside Seasons to Follow. 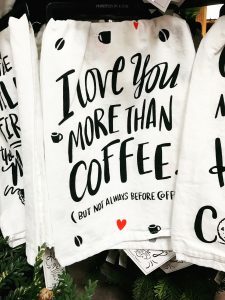 Get your favorite coffee lover one of these hand-lettered kitchen towels from Seasons to Follow. Shoe laces make great stocking stuffers! 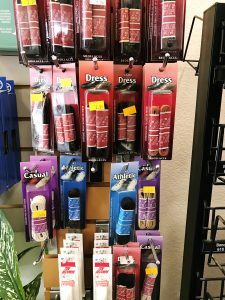 Stop by Shoe Design to stock up! I love sea salt styling spray, it always reminds me of the beach! 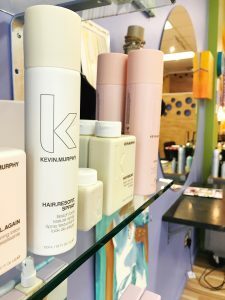 Fresh has got some cool hair stuff! 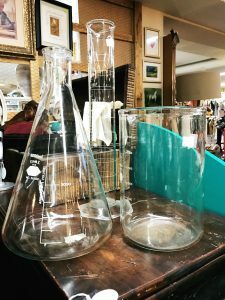 I love these beakers for my funky friends. They’d make the coolest vase or pitcher. 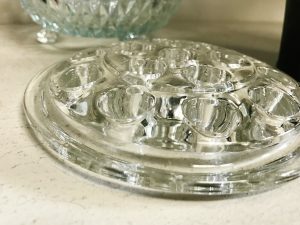 Check out A Robin’s Nest of Antiques and Treasures for all kinds of unique gifts. Allison Blevins is the Director of the Business Improvement District. She handles marketing and communication for Downtown Grand Junction and really loves coffee.